Something awesome is happening tonight! This great palette is going to be available at midnight EST (click here)! I love the pink packaging, heart shaped shadows, delicious chocolate smell, and large mirror inside for easy use anywhere! 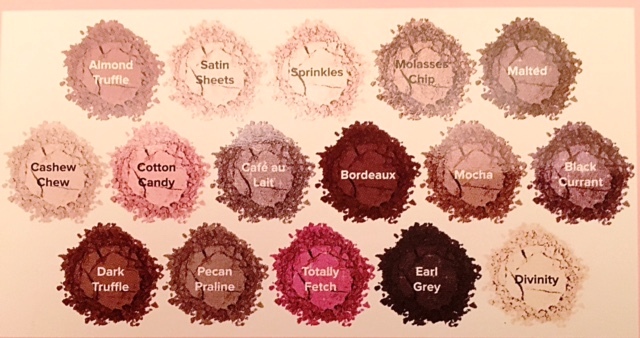 I also have the original Chocolate Bar palette and if you love that one too, you're going to want this one. There is a shadow called Totally Fetch for crying out loud!! I can't wait to create some looks with these shadows to show you guys! A HUGE thank you to Too Faced for delivering this along with a champagne, yes that's right I said champagne, infused chocolate bar. Are you kidding me?!? Monday made! I've never tried any of the Too Faced Chocolate Palettes before, but I have heard fabulous things about them (and they're chocolate scent, so that's incredible!!). Too Faced is definitely one of my favorite brands and I love their palettes. This one will be next on my 'want' list!